✅ Trip Verified | Seattle to Tokyo Narita. Not a good experience. Cabin crew were fantastic and graceful but the seat - one of the newer lay flat suites was clostrophobic with the divider up. Hate the Boeing 787 electronic window blinds because they do not get completely dark - on a flight heading west, they do not stop the sun shining into the cabin and heating it up. 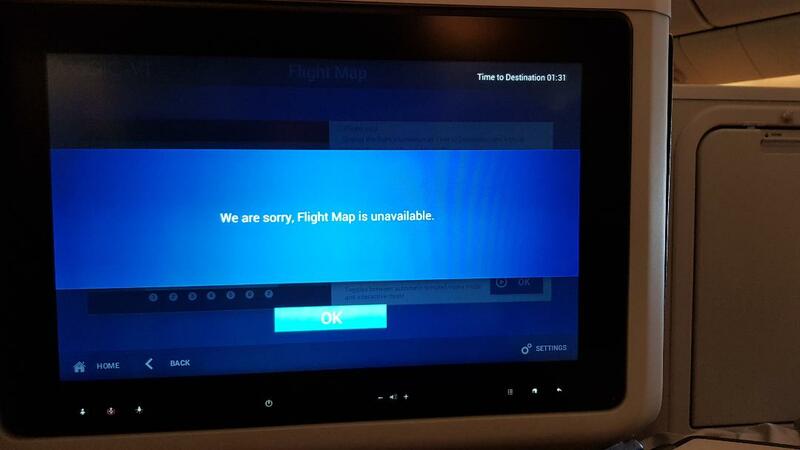 IFE was OK but not outstanding. Although the crew were great, the food (Japanese set ) was not fresh. The drink service was slow as well which for a flight that is not too long delayed food service and resulted in little time for sleep. Lounge in Seattle was really poor (The Club) and not up to biz class standards. Sakura lounge in NRT was not much better. All in all will not fly JAL again to Asia from West Coast. Not Verified | Seven hours in economy can make for a long flight. This evening's JAL Boeing 787 from Tokyo to Bangkok could hardly have been bettered. The seats are comfortable, the always smiling FAs were charming and the IFE extensive enough to while away the flight. Narita is not my preferred airport out of Tokyo because of the long taxi to the runway. But the captain made up most of the delay. 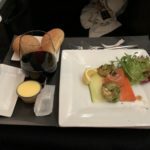 For an economy ticket I felt the most impressive aspect of the flight was the excellent F&B service. Indeed I would almost go as far as to call it superb. An extensive drinks offering was followed by one of the few delicious meals I have ever enjoyed in economy class. JAL has a policy of inviting six young chefs develop new and different recipes for economy passengers. My main course of braised beef in red wine sauce with penne pasta and a dash of cheese was quite excellent, the pasta being perfectly al dente. A salad and two different vegetable dishes were complemented by an almond jelly that must have had some additional ingredient for it, too, had excellent consistency and flavour. I only wished the portion had been double the size! Overall an excellent flight! ✅ Trip Verified | Tokyo to Taipei. First the flight was delayed at the gate after boarding for more than 45 minutes, taxi for another 30 minutes. So the plane was late leaving and late arriving in Taiwan. The food was so so, for business class, really it could have been better. Gate staff also were not well organized. It is surprising for Japan. The lack of signs at the airport gate area and the size of the gate area were terrible. Passengers did not know which lines to go to and business and first class passengers also had to fight through the crowd to board. The biggest problem with the flight was a screaming infant across the isle. Flight attendants did nothing. The parents and grandparents also did nothing. It was horrifying. People should not be traveling with infants, period, for any reason unless they are moving abroad! These were typical selfish parents who insist to travel with their family and could careless about other people. The flight was full and their kid was crying the whole time. Which means their kid was not comfortable. This selfishness has to stop, and airline staff and airlines need to address it instead of ignoring it. I paid good money for a business class seat, and yet I had to endure this nonsense the entire flight. I am sympathetic in most cases where a kid may act out for a short period of time, but this was ridiculous.
" 2 major flight delays"
✅ Trip Verified | Vancouver to Bangkok via Tokyo 2 weeks ago. First sign of trouble began when we started circling Narita and crew warned us there would be a delay in landing. 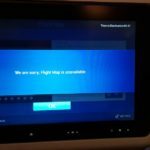 This made me nervous as my connecting flight to Bangkok was in 1.5 hours. We circled for nearly an hour before the captain came on the intercom and said we were being redirected to Haneda Airport. No reason given, only apology for inconvenience. We landed and refueled, waited another 1.5 hours and took off again, landing at Narita 45 minutes later. No explanation given, just sorry for inconvenience. I ran into the airport, hoping that my connecting flight had waited for me, but it was to no avail. My connecting flight had already left. I had to wait in another line for 2.5 hours to get booked on the first morning flight to BKK, and JAL put me up in a Narita Hotel. I found out that the delay was caused because an earlier aircraft had run off the runway, causing the airport delay. Anyway, bad enough, get on with life. A week later I show up at the airport in Bangkok, and JAL ticket counter informs me my flight has been delayed by 3 hours. Oh hell, not again! Which of course means I cannot catch my connecting flight in Narita again. I ask the reason for the delay, they tell me it's maintenance issue. Wait for over an hour, and to JAL's credit they do book me a flight on EVA air in business class. Thumbs up for that. But to have 2 major flight delays by the same airline on same itinerary is pretty sad. ✅ Trip Verified | Jakarta to Vancouver via Narita. My wife and I flew this routing. The seats on plane (both segments on Boeing 787) from Jakarta to Narita we’re far superior than seat from Narita to Vancouver. Cabin staff on both legs were all very friendly, very professional and deserve high marks. The inflight entertainment options were somewhat limited compared to other carriers. Headsets also not as comfortable as others (small headphones). The food was very good as was beverage selection. We’d both recommend JAL business class. "Great airline, will fly again"
✅ Trip Verified | Lounge access with JAL premium economy experience is fab. 9am Sydney-Tokyo and Sydney Qantas Business lounge was excellent - barrister coffee and all cold and hot breakfast food was fresh . Boarding no hassles, FA's warm and friendly. Premium economy seats are best in class, loads of leg room and hard shell recliner, so no one leaning into you. FA's all smiles and each leg gave consistent, professional service, best experience I've had on that level. IFE so so, but enough to keep me going. Great drinks selection, including champagne - FA's happily kept it flowing. Food wasn't too bad, and loads of snacks like noodle pots. Transit in Tokyo, Narita to Haneda by Bus took only 80 minutes. Haneda lounge not too bad, could be better. Tokyo-/London flight solid repeat performance. Great airline, will fly again. ✅ Trip Verified | Tokyo Narita to Melbourne. The check in was easy. We were in the economy class and the seat was comfortable enough for 10 hours flight. The lavatory was quite big. The food/dinner was good too but for the second meal wasn’t that nice/fulfilling. It was a 10 hours flight so the airline should consider giving sufficient meal for the passengers. The customer service was friendly. ✅ Trip Verified | Beijing to Tokyo. Very helpful land and cabin service. 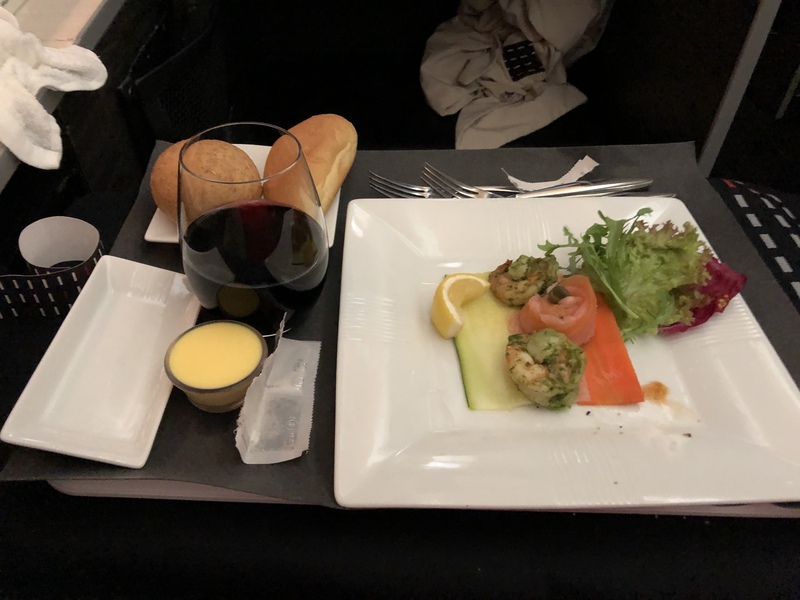 Food is comparatively good in the economy class. The aircraft isn’t the newest 787-9 but still feel good and comfortable. Overall satisfied like other Japanese flights. "never fly Japan Airlines again"
✅ Trip Verified | Okinawa to Tokyo. My daughter and I just took a mini vacation to Tokyo we flew on Japan airlines. After we arrived in Tokyo my daughter was informed that her dog was in the hospital and very sick. She tried with many different employees of Japan Airlines to change our flights to fly back earlier but they refused because she bought the tickets from Expedia. Well these two customers will never fly Japan Airlines again.